This book is funny, touching, and entertaining all at the same time. 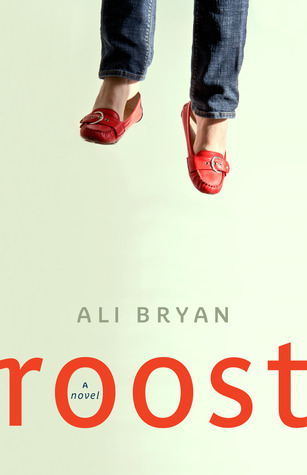 Ali Bryan can take the events of an ordinary day and make them fun to read about. Harried life as a single mother with two young children is delightfully described in this novel. Claudia attempts to raise her children while working a full-time job, sharing her kids with her ex, dealing with her squabbling sibling and his family, while coping with her mother’s recent death and her father’s struggle with independent living. I retreat to my office with the stack of messages and remain distracted by thoughts of my ugly house: the brass lighting fixtures, the dresser I’ve owned since childhood, the vertical drapes I have in common with my dentist’s office. The blue carpet. Everything cheap and slightly gross like ranch dressing or a budding cold sore. I return to my car and smell weed in the vicinity. It takes me back to my university days. When you could still smoke in the bars. Before there were iPhone apps that could check your pulse. Before people had heard about BPA or worried about swine flu. Before I wore clothes that I bought in a grocery store. You celebrate the success of your ex because it is important to your child in the same way you agree to play three hundred rounds of Cars Bingo or drive around the city looking for the Wiggles Christmas movie. And it’s important because some things don’t work out, like when you throw your kids down a waterslide or make them eat boiled chicken and Rice Krispies for dinner or you separate from their father. I also admire how she is able to, with true-to-life detail, have the children be such a huge part of the book. The children are constantly there, like they would be in real life, with their remarks and their questions, often adding some comic relief to the adult situations in the book. I quickly search Joan’s room for the I Spy book I hate so I can hide it. Joan retrieves her Smartie and promptly smacks her head on the pew. The loud thud resounds through the church, followed by her high-pitched scream. I count to ten, in Mandarin this time, and I think of Alphonse Jr. and how peaceful he looked dead. There’s a pleased shriek to my right, which shifts my attention to Joan who has ripped the covers off four different magazines. I pretend she hasn’t and hide them in a discarded shopping basket. There were so many interactions and goings-on with her children that rang true for me, some things I have already forgotten, now that my kids are a little older. So many things in this book are relatable for most of us. Ultimately, it is a story about family, love, grief, and moving forward. I should have paid more attention. I didn’t know she was going to die. Maybe all her Dad meant by this was where his wife keeps things and what time she used to urge him to go to bed. But I like to think he meant it more broadly, that we should all pay more attention to the people we share our lives with, because you never know how long they are going to be here for. They could get hit in the head with a boat while snorkling off the coast of Cuba. You never know. I was so impressed with the inclusion of the children. They added a lot to the humour, too! For some reason I’ve lost a bit of interest lately in books about motherhood, but this one sounds wonderful! The quotes you give are very helpful for getting a small taste of the writing. I can also think of a couple of girlfriends whom I might recommend this to…I met both on my trips last week, and both are single moms who have also recently lost their fathers. I was a little reluctant to read this at first for the same reason- I feel past the stage of very young children and feel like moving on, but I’m glad I read it. The kids in it were so great, and the messages are for everyone. Yes!! I love this book. It’s shortlisted for some awards in Alberta – deservedly. So many books, TV shows, movies etc. downplay the presences of children, usually because it’s not convenient to the narrative. It used to bug me so much when Skylar on Breaking Bad was running around spying on Walt or whatever and I’m like WHERE IS YOUR BABY. Or they would actually show the baby, but Skylar would never once have to change a diaper or feed the kid. Come on!! Roost is real. So real it hurts! I love her messy, chaotic house. I’ve never understood the ability some people have of making it look like there are no children living in their house. And I felt completely busted when she talked about wearing clothes from the grocery store. But, it’s just so convenient! You write the best book reviews! This is one I would really love to read. I don’t have to have humor in a book, but I enjoy it so much more when it does, even if it is a serious subject. I also enjoy humour, if it is well done. Thanks for the compliment, Naomi! This sounds wonderful! I’m going to give it a try! I love humor in books, although few can make me L-O-L. But this – this I need to try! Thanks for your great review! It’s tough to find good books that are truly funny. I hope you like it!